New York (TADIAS) – As we wrap up the year we wish our audience around the world a happy and safe holiday season. And, as always, we look back at some of the top arts & culture stories that captured our attention in 2014. The list is organized in no particular order. Enjoy and see you in 2015! The movie Asni was, hands down, one of the best Ethiopian documentary films released in 2014. Directed by Rachel Samuel and edited & co-produced by Yemane Demissie (Associate Professor of Film & Television at New York University), the documentary features the life and times of legendary Ethiopian musician and actress Asnaketch Worku. The captivating narrative gives us a glimpse into the performer’s popular and controversial past through her own words as well as those of her peers. 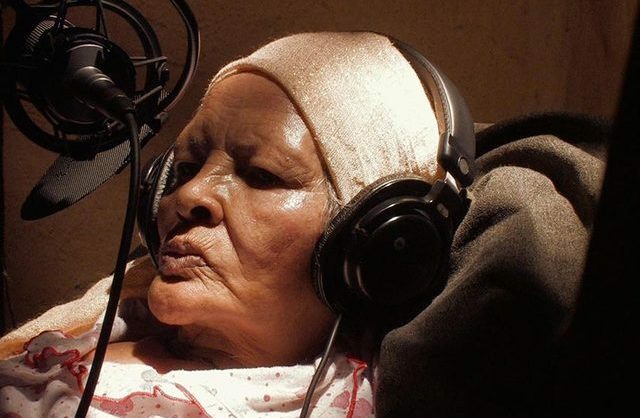 The interview was recorded inside her humble home in Addis Ababa, while she was in bed-rest, a few years before she passed away. After watching the film my first thoughts were “What a woman Asnaketch was!” Free spirited, talented, curious, stylish, beautiful, outspoken and a trailblazer on the stage. It’s moving that at the end Asni — whom in her younger age was in many ways ahead of her time from the rigid and conservative societal norms of her generation — left us a lasting legacy that was built on passion for her profession and pure labor-of-love instead of on feckless pursuit of money and fame. That’s why, I personally believe, that today as Ethiopians everywhere we should cherish and celebrate Asni for she is our cultural treasure and irreplaceable. They did not call her The Lady with the Kirar for nothing. Asnaketch Worku was a born Ethiopian star. 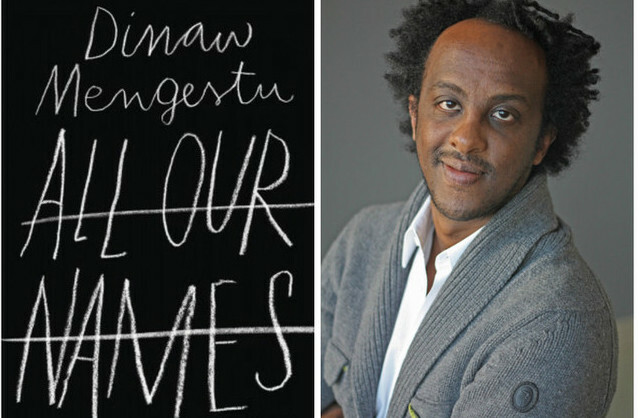 Dinaw Mengistu dropped another of his mesmerizing and culturally-transcending novels this year (his third), firmly establishing himself as one of the most important writers of our generation. His latest book All Our Names was published in 2014. The New York Times notes: “All three of Dinaw Mengestu’s novels are about people who, for various reasons, come to this country and fashion new lives…For while questions of race, ethnicity and point of origin do crop up repeatedly in Mengestu’s fiction, they are merely his raw materials, the fuel with which he so artfully — but never didactically — kindles disruptive, disturbing stories exploring the puzzles of identity, place and human connection.” In addition I would say that All Our Names is a great read so share it with friends and family. The year started off with a bang for Ethiopian cinema on international big screens with Difret by Zeresenay Berhane Mehari winning two audience awards — at Sundance and Berlin film festivals. And it ended with the feature drama becoming Ethiopia’s 2014 official Oscar submission for Best Foreign Language Film. Although there could be no doubt that Difret was the most talked-about Ethiopian movie of the year, I hope the film continues to invite conversations about the inherent cruelty of child marriage. (Here is a great review by The Los Angeles Times). The Taitu Cultural Center marked its 14th anniversary in 2014. Perhaps it speaks more to the vision and determination of Ethiopian actress and playwright Alemtsehay Wedajo, the Founder & Director, that the organization survived for more than a decade without much resources in comparison to institutions of the same category in the Washington. D.C. metropolitan area. 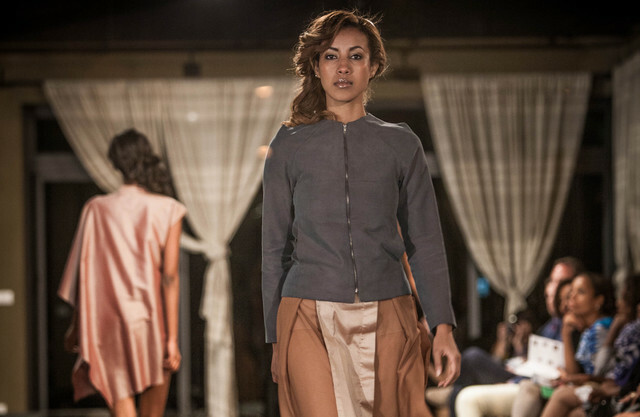 Over the last decade-and-half the center has become a staging-ground for established and aspiring Ethiopian artists, including poets, painters, musicians, comedians and Amharic book authors residing near the U.S. capital and beyond. The 14th anniversary celebration took place on November 2nd at Tifereth Israel Congregation in Washington. The event’s program featured a play called Yasteyikal. A comedy and selected poems of the year were also recited by legendary performers, including Alemtsehay Wedajo herself and Tesfaye Sima. Wishing Taitu much success for many years to come! 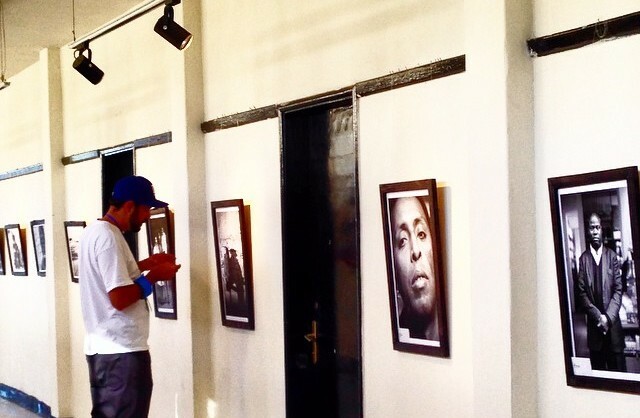 The Addis Photo Fest, founded by Ethiopian photographer Aida Muluneh, held its 4th exhibition in Addis Ababa this year. It’s not an easy task to curate an annual show not only because photography as an art form is still a complex subject, but also because choosing the right theme and artists is an even more daunting challenge. The reward, when done properly, is that photography exhibitions could actually be an effective medium to explore pertinent and timely social issues (both local and global) beyond the abstract and academic that are positive, as well as negative, and require the public’s attention. We congratulate Aida on her efforts and we look forward to the Addis Photo Fest continuing to receive the international recognition that it deserves. Marcus Samuelsson never stops! And that’s not surprising given that he lives in a city that never sleeps either. The New York-based restaurateur and celebrity-chef, who was born in Ethiopia and raised in Sweden, highlights in his latest book, Marcus Off Duty: The Recipes I Cook at Home, the eclectic tastes and cooking-sensibilities of the world’s most diverse ethnic communities found right here in the United States. The following video is our interview with Marcus during his book talk and signing event last month in Washington D.C. where he was hosted by Joe Yonan, the Food & Travel Editor of The Washington Post. His book is available at Barnes & Noble or online at Amazon.com. When it comes to climbing the corporate ladder in the American music industry, it almost can’t get any better than reaching the helm of the country’s historic label — Motown Records. In 2014 34-year-old Ethiopia Habtemariam was promoted to President of Motown Records following a major reorganization at Universal Music Group. It was announced over the summer that Ethiopia will also remain in her previous role as Head of Urban Music division at Universal Music Publishing Group. 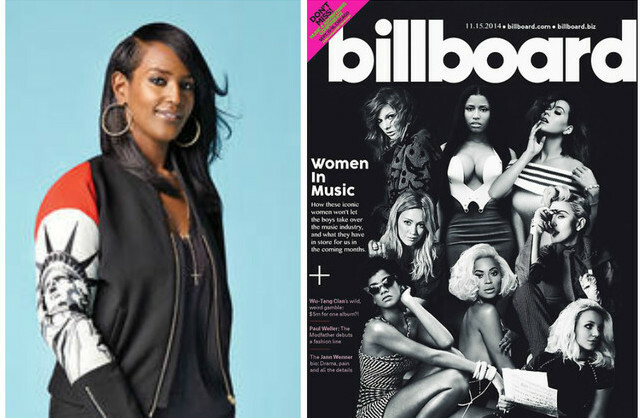 She was one of Billboard magazine’s “Women in Music 2014″ honored in New York this month along with Beyonce, Aretha Franklin, Taylor Swift and many more. We congratulate Ethiopia on her accomplishments and wish her continued success! 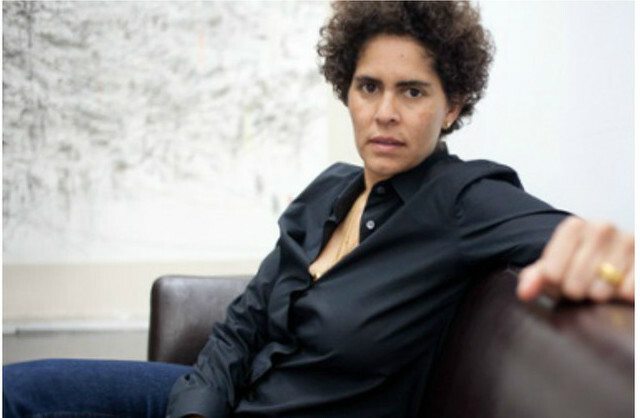 Ethiopian-born American painter Julie Mehretu, who was also one of the Executive Producers of the film Difret, was the featured guest speaker at the fifth American Artist Lecture Series at the Tate Modern in London on September 22, 2014. The program, a partnership between Art in Embassies, Tate Modern and US Embassy London, “bring the greatest living modern and contemporary American artists to the UK.” Julie, who was born in Addis Ababa in 1970 and immigrated to the United States with her family in 1977, is one of the leading contemporary artists in the United States. She has received numerous international recognition for her work including the American Art Award from the Whitney Museum of American Art and the prestigious MacArthur Fellow award. She had residencies at the Core Program at the Museum of Fine Arts in Houston (1998–99), the Studio Museum in Harlem, New York (2001), the Walker Art Center, Minneapolis, Minnesota (2003), and the American Academy in Berlin (2007). Julie is an inspiration for many young people around the world and we look forward to more brilliant work in the future. Last, but not least, in November 2014 UNICEF Ethiopia named young rap star Abelone Melese, a citizen of Norway with Ethiopian origin, as its new National Ambassador at a signing ceremony held at the UNICEF Ethiopia office in Addis Ababa. The organization notes that “the event was attended by Patrizia DiGiovanni, Acting UNICEF Representative to Ethiopia, Mrs. Tove Stub, Minister Counsellor/Deputy Head of Mission, Royal Norwegian Embassy, members of the media and UNICEF staff.” Big congratulations to Abelone Melese!